It took five weeks and interviews with at least a half-dozen candidates, but in the end the Twins' new manager is the guy everyone always assumed would get the job: Paul Molitor. Molitor is a Minnesota native with a long history in the organization and spent this season on the coaching staff, so hiring him isn't exactly the massive change many people envisioned when the Twins fired Ron Gardenhire after 13 seasons as manager and 27 seasons in the organization. 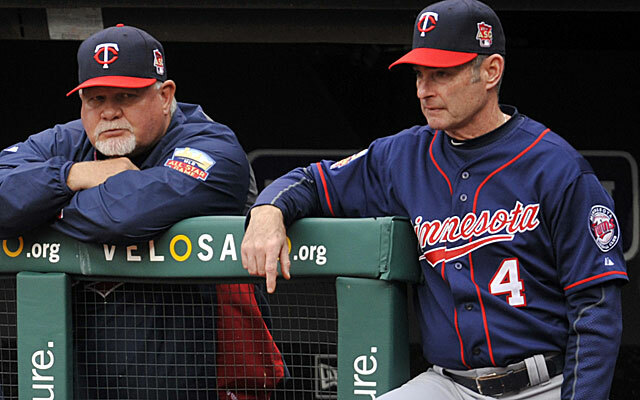 For a decade fans and media members clamored for Molitor to join Gardenhire's staff and as soon as Gardenhire's job security looked shaky Molitor became the presumed manager-in-waiting. None of which means he's the wrong choice for the job now. He lacks managing experience at any level and went nearly a decade without being a full-time coach at any level, but during his Hall of Fame playing career and in retirement Molitor has established a reputation for being an incredibly smart baseball mind. He's also earned praise for working with young players, communicating well, and walking the thin line between being likeable and being respected. Hall of Fame players rarely go into managing, presumably because they're satisfied enough with their legacy, financial standing, and post-career options to stave off whichever competitive juices continue to flow. And when Hall of Fame players have gone into managing the results have been underwhelming to say the least, with the most frequent criticism being that a great, immensely talented player has trouble managing and relating to lesser talents. Molitor's legacy is a spectacular one, especially in Minnesota, and after earning more than $40 million in salary as a player he could have easily filled his time with various media opportunities and part-time coaching roles. And for years he did just that, filling in for fellow Hall of Famer Bert Blyleven occasionally on television broadcasts and spending spring training in Fort Myers as a roving instructor. However, something within Molitor clearly kept pulling him back toward baseball in a major way. Outsiders like me could hear it in his voice whenever he talked passionately and expertly about something as potentially mundane as getting a great jump off a pitcher on stolen base attempts and insiders almost without exception raved about his passion, intelligence, and hard work. And they did so often. For instance, while recording this week's "Gleeman and The Geek" episode Saturday, shortly after news of Molitor getting the job began making the rounds, we spotted someone a few bar stools down wearing a Yankees World Series ring. It turned out to be Tim McIntosh, who played for the Gophers, was the Brewers' third-round draft pick in 1986, and played parts of five seasons in the majors. Not only did McIntosh play with Molitor in the big leagues, he also had experience with Molitor the mentor and Molitor the coach. And after being told the news of Molitor's impending hiring by two strangers in a bar McIntosh's eyes lit up. He talked to us for 30 minutes on the microphone and another 20 minutes off the microphone about how thrilled he was for Molitor and how he strongly believed Molitor is a fantastic choice uniquely qualified to thrive despite a lack of experience. And that's essentially the argument in favor of choosing Molitor. He lacks experience, there are questions about how he'll handle the day-to-day grind of the job on and off the field, and as the favorite in-house candidate the decision seems like more of the same for the Twins in many ways. But you'll be hard-pressed to find people who've seen Molitor in action as a player, as a coach, or as a guy simply hanging out to talk baseball who doesn't rave about his expertise and intelligence. Red Sox bench coach Torey Lovullo finished runner-up to Molitor, with speculation he may have gotten the job with more support from ownership, which is interesting given how different their resumes look. Lovullo was a journeyman player with 308 games in the majors and 1,433 games in the minors, plus a season in Japan. He managed nine seasons in the minors, winning division titles at Single-A, Double-A, and Triple-A, and has coached in the majors in a variety of roles. Lovullo is also known for being analytical, well versed in modern stats, and genuinely interested in sabermetrics, which along with his vast experience working his way up through the coaching and managing ranks is what intrigued me. Molitor doesn't have quite the stat-head reputation, but it's worth noting that he played a big role in getting Gardenhire's staff to finally dip their toes in the analytical pool this season and was credited with the team's dramatic increase in defensive shifts. Molitor may not be a full-blown stat-head like Lovullo, but he's smart, intellectually curious about how new-school knowledge can help a team win, and at age 58 showed more of an open mind in one season than the 57-year-old Gardenhire showed in 13 seasons. He's now at the helm of a young team that will likely get younger and almost can't help but get better, so he'll be learning on the job just like many of his key players. Managers with a decade-plus on the job can be extremely tough and perhaps even impossible to evaluate, with Gardenhire being a prime example of the wide ranges of opinion. Predicting how a first-time manager will fare ... well, that's somewhere between an educated guessing game and a coin flip. Molitor will need to choose his coaches wisely and get help from a front office that has done more harm than good of late, but he seems like a sound choice. For a lot more about the Twins hiring Molitor, including an impromptu interview with his former teammate, check out this week's "Gleeman and The Geek" episode. • After interviewing a surprising (to me, at least) number of outside candidates to replace Ron Gardenhire the Twins have settled on a final three of Paul Molitor, Doug Mientkiewicz, and Torey Lovullo. Molitor was on Gardenhire's coaching staff, Mientkiewicz managed the Twins' high Single-A team, and they're both longtime members of the organization. Lovullo has no real ties to the Twins and is portrayed as being very stat-head friendly, so I'll be shocked if gets the job. Because the Twins' manager search is still unresolved Joe Maddon opting out of his contract with the Rays led to some speculation about their chances of hiring him. General manager Terry Ryan then fanned those flames by publicly commenting on Maddon, seemingly making it very clear that he thought highly of and had interest in Maddon. 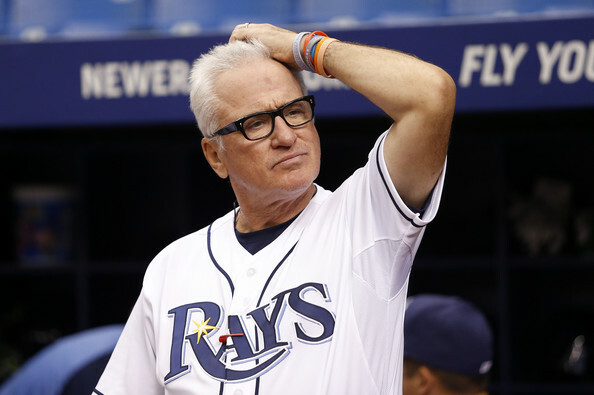 However, according to multiple reports the Twins never even contacted Maddon. Anyone shocked probably isn't much of a Twins fan. 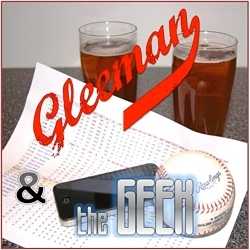 • For a lot more about the Twins' managerial search and why Maddon was never going to happen, check out this week's "Gleeman and The Geek" episode. Molitor's addition to the staff caused Gardenhire to chafe at times behind the scenes, especially early on, considering their shared expertise when it comes to infield play. For years fans and media members wondered why Molitor wasn't being added to coaching staff and there was speculation that Gardenhire was against the idea. Molitor was finally added to the staff in October of last year and less than 365 days later he's a finalist to replace Gardenhire, with the assumption that he's been the favorite the entire time. Anything portraying Mauer in a positive light angers a lot of people these days, but whatever. • Chris Colabello joins the lengthy list of Twins to play through an injury and perform horribly, admitting that he suffered a thumb injury on April 23 and "still feels numbness and tingling" six months later. At the time of the injury Colabello was hitting .346. He continued to play for the next month, going 8-for-73 (.110) with 28 strikeouts before the Twins demoted him to Triple-A. He returned later and hit .222 in 19 games before being sent down again. According to Colabello's hometown Worchester Telegram he "glued cotton to his batting gloves and tried a thumb protector" to alleviate the pain and "didn't tell the media in Minnesota" about the injury. Berardino also reports that "a Twins official rejected that notion" of Colabello being injured when asked in June and "suggested it was purely a matter of timing and confidence." As usual the tough-guy culture of playing through it helped neither the player nor the team. • Parker Hageman of Twins Daily notes that Twins pitchers combined to throw a grand total of one pitch 97 miles per hour or faster this season. It was by Lester Oliveros, in September. By comparison, every other team in baseball threw at least 75, all but four of the other teams threw at least 150, and half of the teams threw at least 500. Kansas City led MLB with 2,287 pitches of 97 mph or faster. Again, the Twins threw one. • Last month I examined the 40-man roster and identified 19 players the Twins could potentially drop. So far they've dropped four of them by declining Jared Burton's option for 2015, cutting Doug Bernier and Yohan Pino, and selling Kris Johnson to a team in Japan. Johnson and Alex Presley were the Twins' haul from the Pirates in exchange for Justin Morneau. They combined to play 31 games for the Twins and were both sent packing for nothing in return. • Byron Buxton's injury wrecked season keeps getting worse. Playing in the Arizona Fall League after missing all but 31 games of the regular season with a wrist injury and a concussion, Buxton fractured the middle finger on his left hand while attempting to make a diving catch. In the grand scheme of things a busted finger isn't a big concern, but the missed development time for a 20-year-old is lost forever. And that's not even counting postseason wins. • Outfield defense played a huge role in the Royals' success this season and according to Ultimate Zone Rating their outfielders were 60 runs above average. Meanwhile, the Twins' outfielders were 36 runs below average according to UZR. Improving the pitching staff is obviously very important, but don't discount the negative impact defense and specifically outfield defense has had on their runs allowed totals. Oswaldo Arcia's continued presence makes big improvements tough. 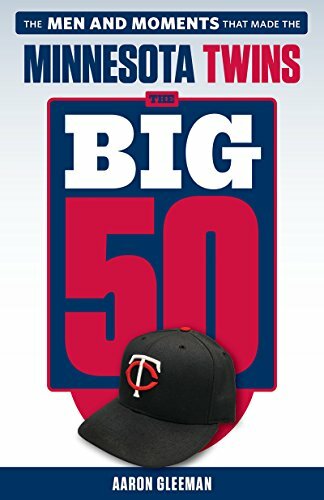 • In the 23 years since their last World Series title the Twins have a 1,777-1,908 record for a .482 winning percentage, including 6-21 in the playoffs.